Building and developing leaders through the development of innovative presentations and hands on training. How Do I Know If I Need a Motivational Speaker? James is a proven leader and dynamic speaker. He is a military veteran with over 30 years of military experience. He is a former athlete and a high school track coach who constantly seeks the next level of performance for all youth. James believes in breakthroughs and that every person has the ability to discover, learn, and progress to a higher level of achievement. James is here to make similar breakthroughs with you and your organization. How do I know if A motivational speaker is right for me? Are you trying to get more out of your personnel or your organization? Are you trying to inspire individuals to achieve more? Are you responsible for the products and out-put of other individuals? Is your organization facing the challenges of a diverse work-force? Are you simply trying to achieve more, do better, or increase productivity? Is anyone in your organization a leader? If any of your answers to these questions is “Yes” then you need a motivational speaker. Do You Only Work With Established Organizations? With over 30 years of experience with motivating individuals, James has worked with many diverse organizations and with individuals who just has a vision. 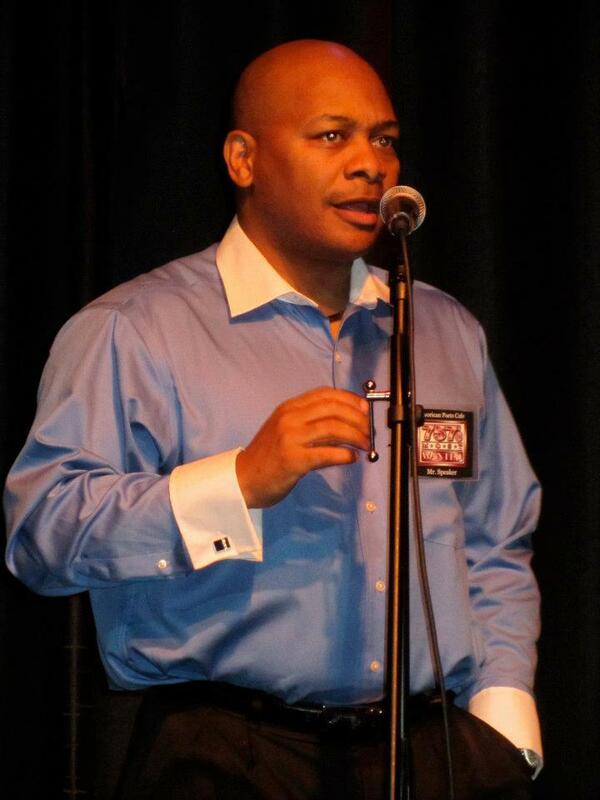 Let me prove to you how effective a motivational speaker can be for you or your organization. Do You Offer Ongoing Motivational Services? The short answer is “yes”. But the more important answer is James works hard to sustained performance breakthroughs which come when our youth shared purpose, a clear perspective of themselves, and a robust articulation of priorities. James (Mr. Speaker) Sears was born in Louisville, Kentucky. He received a B.A. from Western Kentucky University and an M.A. in HR Management from Central Michigan University. James is a U.S. Army Leader, Author and Motivational Speaker. He is honored as Decorative Military Officer and Heart of Military Leader. James has published “Love vs Hate”, “The Rocks Inc.” and “Heart of the Military”; he also has a blog and is a host of talk radio. In his free time, he enjoys writing poetry, reading, travel, movies, sports and he coaches track.